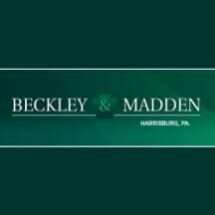 For more than three decades, Beckley & Madden, LLC has provided the highest quality legal services possible to clients ranging from construction, manufacturing, service, technology and telecommunications companies, to trade associations, professionals, nonprofit institutions and individuals. Our clients do business locally, regionally, nationally and internationally. We regularly serve as local counsel to out-of-state companies. Each of our practice areas is highly respected. Our firm is AV®-rated* under Martindale-Hubbell’s peer review rating system, and we are rated "preeminent" in the areas of construction law, labor and employment law and general practice. We are not the largest firm in Harrisburg, but we strive to be the firm of choice for clients requiring assistance with their most challenging legal problems. construction law, business litigation, labor and employment law, divorce, real estate law, or estate planning, administration and probate, we represent our clients aggressively, thoughtfully and with meticulous attention to detail. Because we understand that legal services are expensive, we pursue creative, practical solutions to problems, and strive to achieve the result the client wants by the most economical means possible. Our offices are conveniently located in downtown Harrisburg, Pennsylvania, overlooking the State Capitol Building, within easy walking distance of the state and federal courts and administrative agencies. We litigate cases on behalf of plaintiffs and defendants in the state and federal trial and appellate courts, before state and federal administrative agencies, and in alternative dispute resolution procedures such as mediation and arbitration.